If you have a close look at the Mexican flag, you will see that in its central area lies the figure of an eagle eating a snake in the top of a cactus. This is a very representative image of the Mexican National identity, which can also be seen at one side of the Peso coins circulating today in the country. But where does this particular image come from? The answer lies in the Aztec Migration which took place between the XIIth and XIVth centrury of our time. The legend says that the Aztec people, also known as Mexicas, originally came from the place of Aztlán "Place of the Herons". The actual location of this site is still a subject of debate among archaeologists, but most scholars place its location in what is today the Mexican state of Nayarit, in the Pacific coast of the Mexican territory. The legend narrated by the Aztec codices narrates the commandment by the God Huitzilopochtli that the Aztec people were to start a pilgrimage until they could find an eagle eating a snake in the top of a cactus. The site where they could see this heavenly sent signal was going to be the place from where they could start their empire, and where they should build the city of Tenochtitlan. 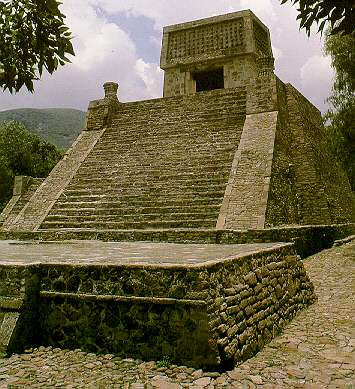 According to the Codice of Azcatitlan, this Aztec pilgrimage took over 165 years. During that time, the Aztec people were a tribe of hunters with a nomadic way of living. 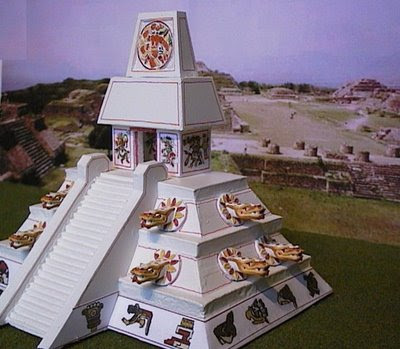 The codices suggest that the Aztecs used to have certain necrophillic practices as part of their religious beliefs. These practices were not shared by many of the local tribes from Central Mexico and caused the constant expulsion from many of the sites where the Aztecs settled temporarily. This gave rise to political tensions in the central area of Mexico, between the Aztecs and some of the local tribes. The legend of the Aztec migration says that the Aztecs finally saw the signal of the eagle on a small island in the middle of the shallow Texcoco lake. It is for this reason that they settled their city literally in the top of a lake surrounded by inhospitable swamps. Taking aside their religious beliefs, It is hard to understand the actual reason why the Aztecs chose this difficult location as a place to settle the city of Tenochtitlan.Personally, I tend to share more the idea that the political tensions caused by the Aztec practices forced them into a territory that was not wanted by any other of the local tribes, and that it was not so much a heavenly sent signal, but the constant expulsion from different locations what led to the foundation of one of the largest Prehispanic cities, the city of Mexico-Tenochtitlan. In the next article, I will discuss the daily Aztec life in the city of Tenochtitlan during the XIIIth and XIVth century, their social classes, marriage, slavery, traditions and religious beliefs which helped largely the spanish conquest of the Mexican territory. What is the Best Home Business? Which Are The Best Ab Exercises?